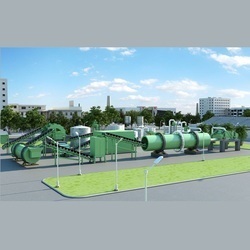 Keeping in mind the precise demands of clients, we offer a wide range of Sand Plant. Precisely designed and developed our devices are very easy to install and operate and available with us in various technical specifications and range. these are acclaimed for their dimensional accuracy, robust construction and optimum strength. Wesman Mechanized Sand Preparation Plant was developed in early 1960’s. Many of these were supplied to renowned foundries in India and it is not uncommon to find these plants in operation in excess of 30 years. 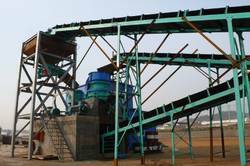 Fully Mechanised Sand Plant with high production intensive mixer delivers green sand to moulding machines. Moulds are prepared using pneumatic SJS moulding machines. This Plant is use for washaing the all type of clay , sand and also gold prouct by automatically with high production rate.